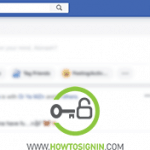 Why change Facebook password?You should change the Facebook password right now if: You haven't changed your Facebook password for a long time. There are any suspicious activities in your profile. The password is similar to other online accounts. There is news about the Facebook account being compromised. The current password is very weak.FB contains … [Read more...] about How to change Facebook password? Fed up with sponsored tweets, lack of civility, unpleased Hashtag trends and want to delete Twitter account?You can delete your Twitter account immediately, but you've to wait 30 days to delete your account permanently. Till 30 days your Twitter account is only deactivated, Twitter will retain your account data, and you will get chance to reactivate your account.Twitter … [Read more...] about How To Delete Twitter Account?